What’s the first thing on your mind when you think about Italian food? Cookies? Spaghetti? Wedding soup? Oh, come on! It’s pizza, right? It has to be. I’ll shamelessly admit that for me, pizza is love. Sadly, however, it’s incredibly hard to find a restaurant which serves THAT pizza which reminds you of your childhood. The dough is either too crusty, too fluffy, too thick, too…everything. There is a solution to that though–our monthly homemade pizza bake-off. And by bake-off, I mean everybody is working while I just take the slices when done. And the pièce de résistance for me has always been the tomato sauce. 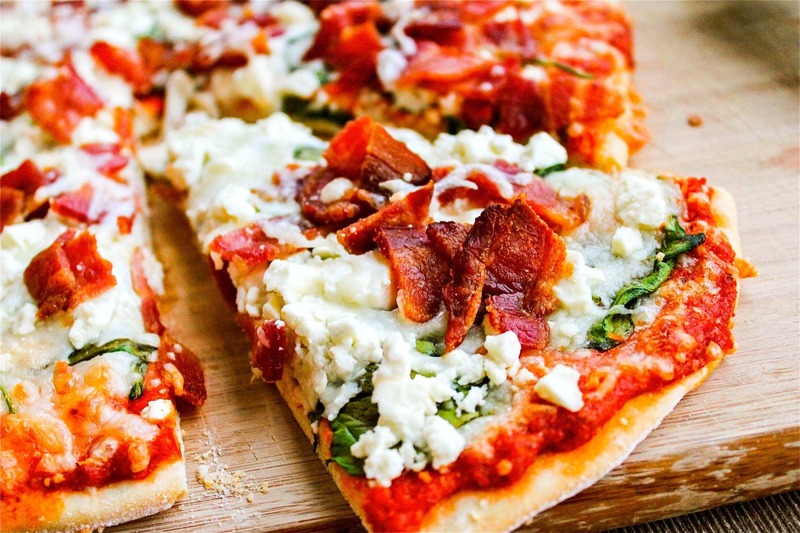 A pizza without a great tomato sauce is like a tree without leaves. Like a sea without fish. Like an actor without a role. Like beef without wine. Like…you get the point. 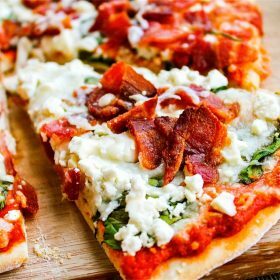 A great authentic Italian tomato sauce recipe is what makes pizza…pizzalicious. All the other things–mushrooms, salami, cheese–you just throw them all over the place. But if the tomato sauce isn’t right, then nothing is. 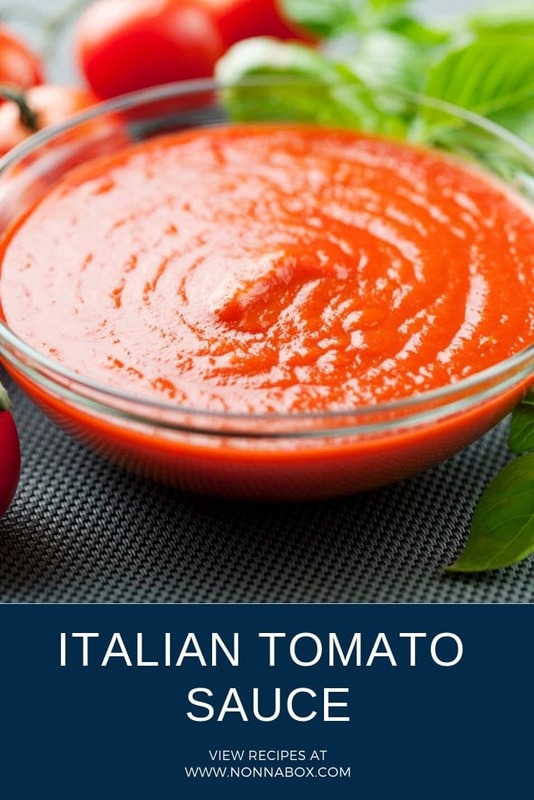 But before diving into this authentic Italian tomato sauce recipe, let’s talk a bit about its history. Unsurprisingly, the first appearance of the tomatoes in a recipe book published in Italy, in fact, takes place in Naples, at the end of the XVII century, when Antonio Latini published a collection of recipes. However, it takes a while for the tomatoes to be combined with pasta and pizza, as they were either served just as they were, or the tomato sauce was accompanying meat dishes. It takes a whole another century for the tomatoes to become a food consumed more widely in Italy, judging by the frequent appearances in a variety of culinary publications. A few decades later, the tomato sauce finally meets its partner in crime–pizza margherita. The rest is history. Forget about buying tomato sauce in a jar–this authentic Italian tomato sauce recipe with fresh basil will almost make you feel the Mediterranean breeze right in your kitchen. And remember, the freshest tomatoes are ripe, but firm, and free of stains. 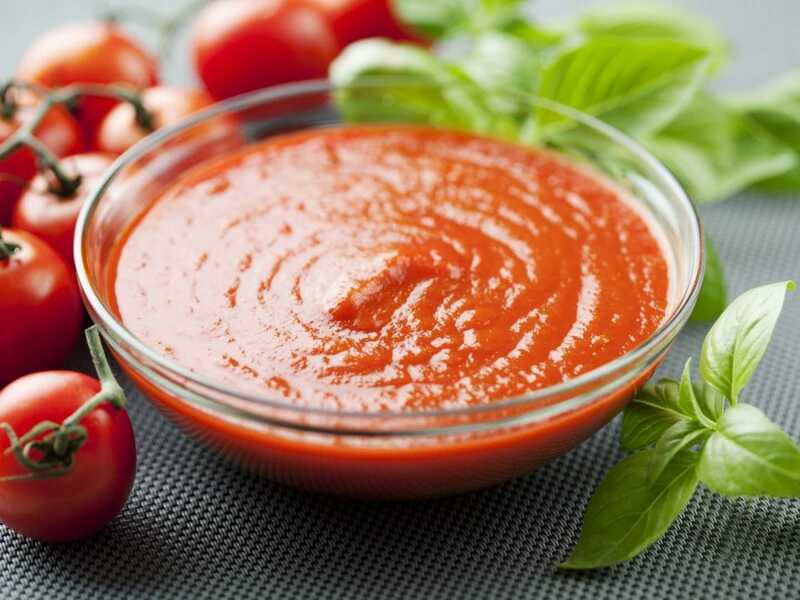 Use this Italian Tomato Sauce recipe for your pizza or even your pasta! Rip the pedicels off, washing the tomatoes very well and leaving them to dry. Cut each tomato into two halves and remove the green part, also known as the pith. Squeeze the two halves of the tomato in a bowl or in a sink, to get rid of all the seeds. Once you’ve repeated this process with all the tomato halves, put them in a steel pot, and cook the tomatoes on a stove’s hotplate, on low heat, turning them occasionally with a spoon, until dry and disintegrated. Now pass the tomatoes through a food mill. Once all tomatoes have been passed, transfer the resulting sauce in a smaller steel pot while you will again put on the hotplate. Add salt and oil to the sauce, and let it simmer over high heat, until you get the desired thickness. Then turn off the heat and add the whole basil leaves to the sauce or coarsely chopped by hand. If the tomatoes that you purchased are not particularly tasty, you can add to the sauce a fried onion or garlic to make the sauce more delicious.